Vivo Resorts is a 4.5* beachfront resort located in Palmarito Beach, Mexico. It features 110 rooms and swimming pools. 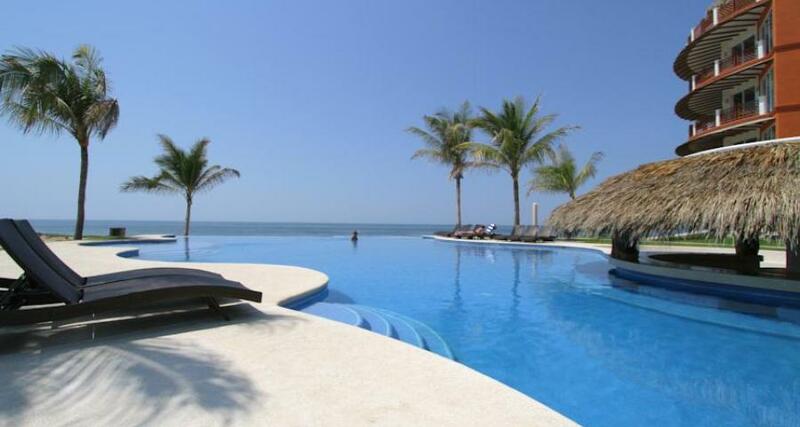 Located in Playa Palmarito, Vivo Resorts offers an excellent location facing the sea and approximately 45 minutes from Puerto Escondido, in an uninhabited area with numerous fields and fenced lands, and which can be reached by dirt roads. Enjoy a beautiful deserted beach and stay in this comfortable hotel, with fully equipped apartments including a living room, dining room, kitchen, terrace with sea view and laundry room. The property also has an infinity pool, as well as concierge and spa services.